Can You Guess The Blogger? Nowadays, more and more bloggers are becoming household names, appearing in magazines, on the front row at fashion week and even launching their own fashion lines. But do we really know the identity of the bloggers we aspire to be like? Who are the real people who run around our favourites cities in search of a killer story for us? 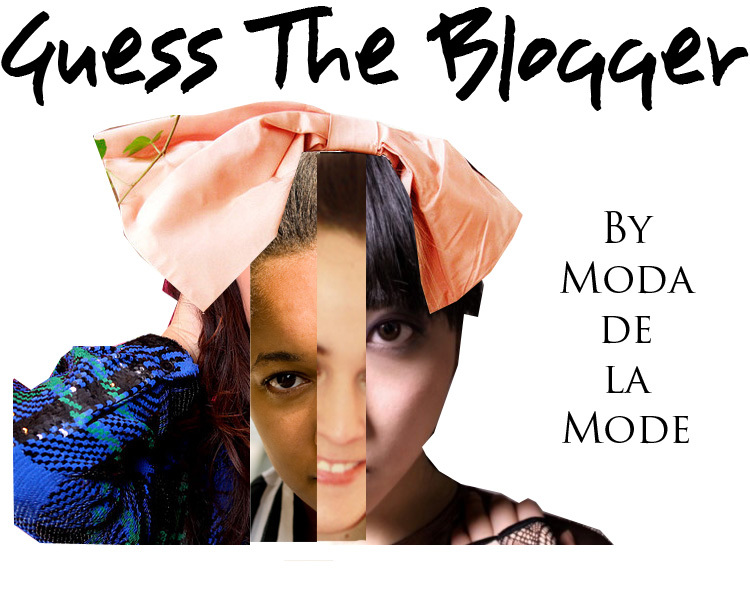 Test your knowledge in Moda de la Mode's 'Guess The Blogger Quiz' which features some of the best bloggers across the world. Can you guess who these famous faces are and which blogs they write for? Leave your answers in the comment box below and the person who gets the most correct will a signed copy of Moda de la Mode Magazine, Issue 1. Write your answers in the comment box before 12.00pm GMT 16.01.12 and the person with the most correct answers will be contacted by email. Gosh this is going to be terrible because i'm sooo bad at these, but if I get an issue in print, then hey, it's worth it! 1. is Susie Bubble, and 6. is Chiara Ferragni??? There's a new post up on my blog, so feel free to stop by!